This is a program for a 900 MHz UHF (Ultra High Frequency) RFID (Radio Frequency Identification). This program must have a Samsung Techwin UHF Handheld RFID Reader (VLAC-G1) or a UHF Fixed RFIDReader (VLAC-Alpha) based InpinJ R1000 chipset. This technology is constructed using an RFID Tag, an RFID Reader, and a Service. The RFID Tag is a very low cost product. Several months ago, Hynix Semiconductors said, “We will make 1 cent RFID tag chips.” The RFID Reader is more expensive than RFID tags. However, this might be perfect for any distribution vendor considering applications for low cost of transport and reliability of transport. And, many food companies might consider its application for food safety. For example, an industry vendor might consider changing from 2D barcode technology to RFID technology. This program will be very useful for RF tag identification. The 900MHz RFID Tags is composed of a tag chip and an antenna. The tag chip is based on the ISO 18000-4 spec for automatic data identification specification and ISO-18000-6C specialization for item level management tags. The latest trend is 18000-6C. We call these Gen2 tags. The detail structure searches the EPC Global standard. These tags are composed of BANK 00 (Reserved Memory), BANK 01 (EPC Memory), BANK 10 (TID), and BANK 11 (User Memory). The BANK 00 (Reserved memory) is composed of a kill password area and an access password area for secure functions. 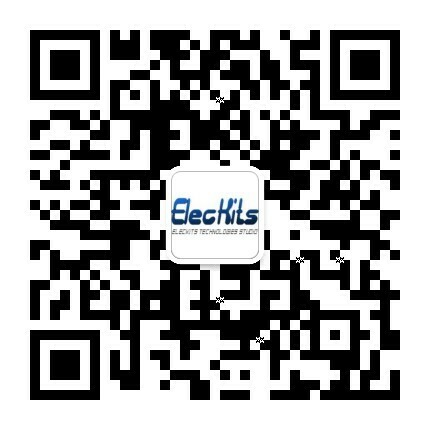 The BANK 01 (EPC memory) is composed of CRC-16 (tag used when protecting certain R=> T, T => R), PC (Protocol control for EPC memory area), and EPC (Electronic Product Code). The BANK 10 (TID memory) is the 8 bit ISO/IEC 15963 allocation class identifier; 11100010 for EPC Global. The BANK 11 (User memory) is the user specification data storage. This program is composed of RFID Radio (CRFIDRadio) and RFID Radio Management (CRFIDRadioManager) objects. The CRFIDRadio object is a real command operator. This object has some functions for the Inventory command, Tag Access (Read/BlockRead/Write/BlockWrite/Lock/Kill) commands, and the RFID setting function. And, this object calls the Samsung Techwin RFID Reader API. The CRFIDRadioManager object is to manage each RFID Radio object. And, this object controls CRFIDRadioobjects for command transport. // Your application header file. // Your application source file. This function makes a connection to a CRFIDRadio object. In this state, the CRFIDRadioManager object searches and attaches an RFID Reader device on your accessible RFID Reader using USB, Serial, and TCP/IP interfaces. And, the SetParent function sets the CWnd window for Win32 message returning. This state is a complete reader connection. Next, you will want identify the RFID tag. Look at the RunInventory function in the CRFIDRadioManager. This function sends tags for the read command to the RFID reader. It creates a thread for the read command. The packet parameter is the result information from the reader. The base structure is RFID_PACKET_COMMON. For detailed structure information, see the Interface Specification white paper in the Samsung Techwin homepage. The CRFIDRadioManager returns the parent CTagInfo object using the SetParent function. 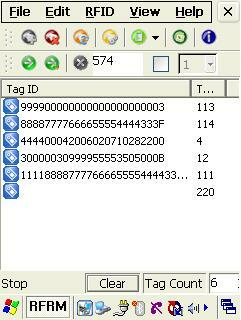 The CTagInfo object copies tag information from the RFID Reader. And, the CTagInfo object reconstructs PC, EPC, and other information using the ISO 18000-6C tag type. I do type cast from the packet parameter to the RFID_PACKET_18K6C_INVENTORY struct. And, I define the inv variance. I check the packet length and the flag for the right packet type. If the packet is right, I make aCTagInfo object for tag information. Finally, I return a CTagInfo object to the parent object using theSendMessage function. The complete source code is available from the download link above.